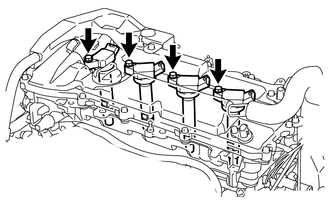 (a) Disconnect the 4 ignition coil assembly connectors. (b) Remove the 4 bolts and 4 ignition coil assemblies. (a) Using a spark plug wrench, remove the 4 spark plugs. (a) Using a spark plug wrench, install the 4 spark plugs. Perform "Inspection After Repair" after replacing the spark plugs (See page ). 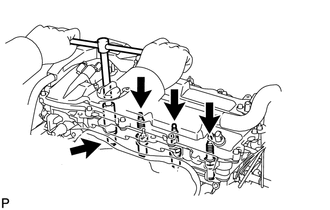 (a) Install the 4 ignition coil assemblies with the 4 bolts. 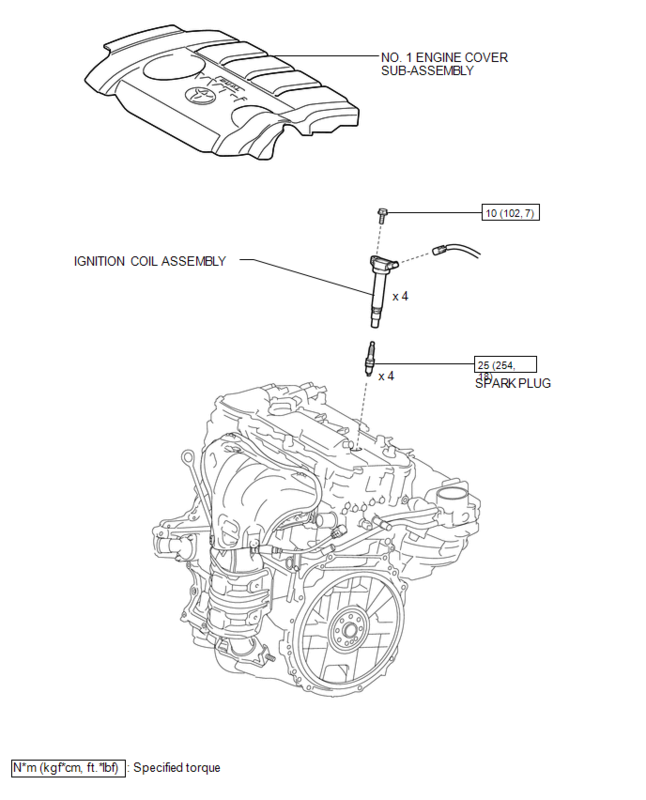 Perform "Inspection After Repair" after replacing an ignition coil assembly (See page ). (b) Connect the 4 ignition coil assembly connectors.